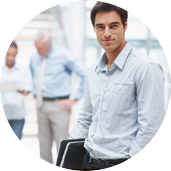 Are you a real estate agent wondering how you can make your business a success? We present here multiple ideas that you can apply to your real estate business and watch it bloom to greater heights. Proper marketing is the backbone of a successful business online. As a real estate agent, the website for realtors is there for you to ensure that you have unique techniques to fish prospective customers for your business. Below are some of the important tips that you should try and watch out as things take a new turn. There is no better way of convincing your online clients that you are good at what you do than seeing how your past clients are complimenting your work. Most websites base their success on this, and that is why customer satisfaction is a must. Use the same tip and ask your clients to rate you and leave their reviews on your website. By posting genuine reviews, a positive vibe is sent to your potential customers and partners that lights your path to success. Assuming you have a real estate advertisement board on the street, and you see someone looking at it. This will spike interest in you to ask their names and find out if you may help them. The same spirit should be flowing on your website. Have these online forms that will pop up for prospective clients to sign and leave their contact information on it. This makes tracking potential clients easier. A good agent delivers quality work to clients. Supposing these clients are satisfied, there is a high possibility that they might refer you to another potential client seeking the same services. You should initiate this chain by asking in a not-too-desperate tone and find out if they can refer probable customers to you. Do you see the point? Clients tend to trust more a person referred by someone they know. Email marketing is an effective marketing strategy that companies are now realizing. You might be wondering: what about social media marketing? Well, do not worry as email is more effective than social media. With emails, your message hits home, and no one can control it. With online marketing, only the potential clients that visit the website will see it. Using social media can be tricky considering they want a positive user experience. They can, therefore, cut down on your ads mitigating the success of the ads. Sync your Twitter and Facebook contacts to have a wide list of recipients that you can send emails to. There are other interesting ideas on how you can develop your real estate marketing. Do good research on the effective ones and employ them for better results. 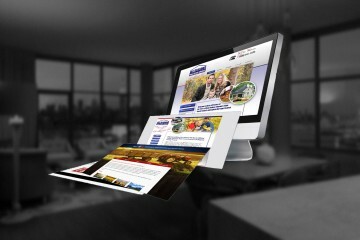 Make effective use of your website for realtors and increase your visitors and real estate business. With hard work and determination, success will be on your way.